The Shree Rajput Karni Sena, a group opposing film 'Padmaavat', on Monday agreed to watch Sanjay Leela Bhansali's historical drama after the director's invitation to end the deadlock on the issue. NEW DELHI: The Shree Rajput Karni Sena, a group opposing film 'Padmaavat', on Monday agreed to watch Sanjay Leela Bhansali's historical drama after the director's invitation to end the deadlock on the issue. The film, slated to be released on January 25, has been been facing protests by Karni Sena and other fringe groups over allegations that historical facts were distorted in the flick. "We are ready to watch the film. We never said that we will not watch the film. The filmmaker had assured us one year ago that he will go for a special screening and now he has written for the screening and we are ready for that," Sena leader Lokendra Singh Kalvi, who was in Uttar Pradesh, told PTI over the phone. Kalvi on Monday met Uttar Pradesh Chief Minister Yogi Adityanath in Lucknow. Bhansali production had on January 20 written a letter to Shree Rajput Karni Sena and Rajput Sabha, Jaipur, inviting them to watch the film and assured that the film showcased the honour and valour of the Rajput community. 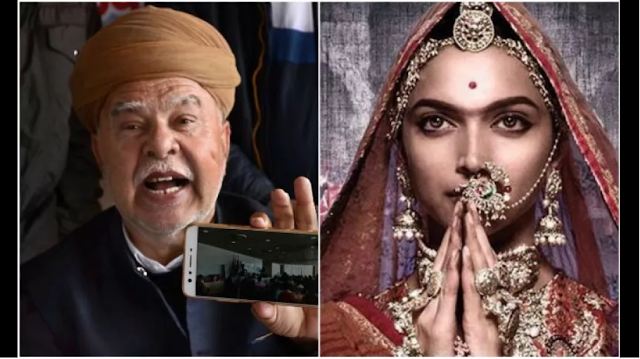 Earlier on Monday, Rajput organisations reached out to the Supreme Court to stop the release of "Padmaavat". Shri Rajput Karni Sena and Kshatriya Mahasabha filed a plea in the apex court alleging historic facts were distorted in the controversial movie, scheduled to hit the screens on January 25, and demanded that its release be stopped. The film was slated to release on December 1 last year but was postponed after a countrywide protest against the film by the fringe outfits. Karni Sena chief had earlier said he would not allow Sanjay Leela Bhansali's "Padmaavat" to be released "at any cost". He had also warned that if cinema halls went ahead with the January 25 release it would lead to an "enormous outburst of people". The film, mired in controversy over its plotline, had been given a go-ahead by the Central Board of Film Certification (CBFC), which has asked the makers to change the title from 'Padmavati' to 'Padmaavat' and suggested some other modifications.